My top tips on maintaining your babys sleep routine during the holidays via babypost.com. 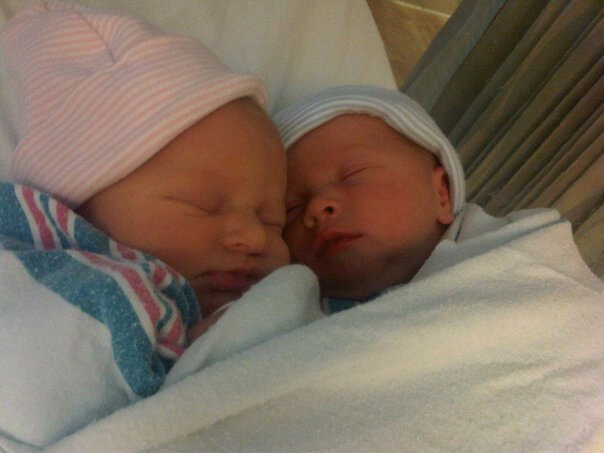 When my husband and I found out we were having twins we were thrilled, we had never imagined we would be having twins. Talk about best shock of our lives. We walked out of the doctor’s office excited and anxious but during the car ride home the panic crept in. While my husband had visions of University tuition dancing around in his brain, all I could think was I. Am. Never. Going. To. Sleep. Again. Yes my twins were my first set of twin clients, since then of course I’ve gone on to helping countless other multiples, but the first time around can and did appear completely, and utterly terrifying. Fear not multiple mom’s and dad’s, the basic fundamentals of healthy sleep are the same, whether you’re dealing with one baby or two babies. We still need to focus on the 5 Sleep Basics: Sleep Routine, Early Bedtime, Naps, Manage Sleep Associations, and Consistency. With multiples it’s all how you execute your plan, as well as consistency and organization has never been more important than now. Here are a few tips to help you down the right road. Keep Them on the Same Routine – I’m sure you’ve heard this before. Well it’s true! You want to get into the habit of putting them on the same sleep and feeding schedule right from the start. If one wakes up, then wake the other no later than half an hour later. You’ll want to put them back down at the same time and if you don’t wake the sleeper up to keep them on the same routine as the non sleeper, you’re always going to have a baby awake with you, and really, where’s the fun in that! Many twin moms I speak with struggle because a lot of the times they are on their own at bedtime because husbands are working. When it’s just you don’t worry too much about having them exactly on the same schedule in regards to when they sleep and eat. A half an hour difference is no big deal. Keep Them in the Same Room – If you want to or unable to separate them then keeping them in the same room is okay. If they are in the same crib I would recommend putting them into their own cribs around 4 months of age. At this point they start moving around more and trying to roll over and they could start waking each other up. If one cries don’t panic! Don’t feel like you have to spilt them up. They will get used to each other’s sounds and cries and this is something you want to encourag. For the most part the other will sleep through it. Get Help! – I can’t stress this enough. Husbands need to get on board when dealing with twins. It can’t always be you and two babies. You need the help and your need the relief every now and then. Your babies and the rest of your family need you strong and healthy, don’t try to take it on yourself. If you are fortunate to have grandparents around or other family then enlist them too! Especially if you are dealing with other children as well. At least the grandparents can help with your toddler while you deal with the babies. One Day You Need to Take a Chance – Even knowing what I know and doing what I do I was terrified of letting the night just play out. I knew I had to. And I tell parents to do it all the time. Don’t wake a baby in the middle of the night to feed them. They will naturally push out these feeds themselves but we have to give them a chance to do it. 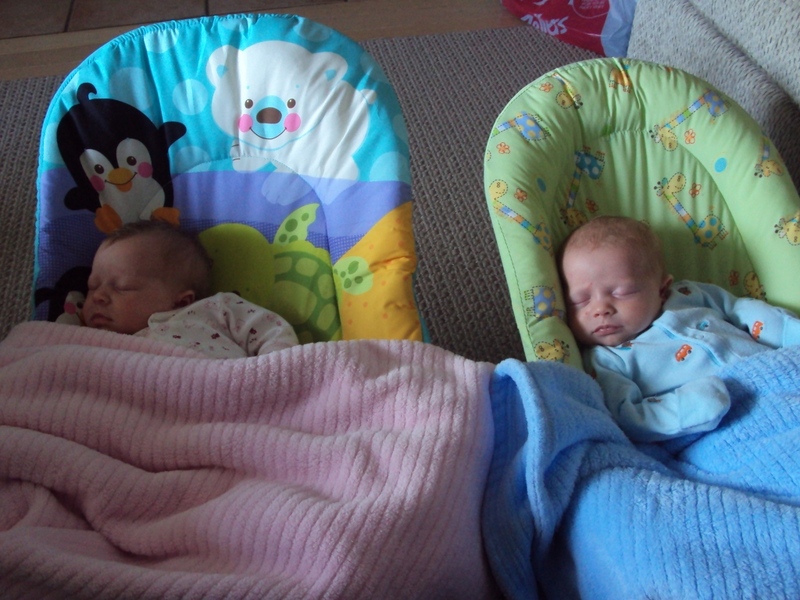 I was so scared of both babies waking at the same time and screaming their heads off because they were hungry. One screaming baby – not fun. Two screaming babies – not possible! So I was waking them to feed them for their 2am feed until one day I said this needs to stop! It may have meant I was going to be up all night for a few nights because they may not be on the same schedule for night feedings but so be it. And that’s all it took. 2 nights and that 2am feed was gone and they were sleeping through. Yes guys, it can be that easy just by simply giving them the chance to self soothe and stopping interfering with their sleep! Twin/Multiple Tip of The Day – Stop Comparing! I’m going to start at the beginning. This tip is even before you start worrying about sleep, okay never mind, tell me you didn’t start worrying about sleep the second you found out you were having twins! No this tip is when you get home from the hospital and you have two babies, the same age side by side and then it starts. The CONSTANT comparison. Everyone tells you not to do it and you know you shouldn’t, you understand the rationale, but it’s soooo easy to do. 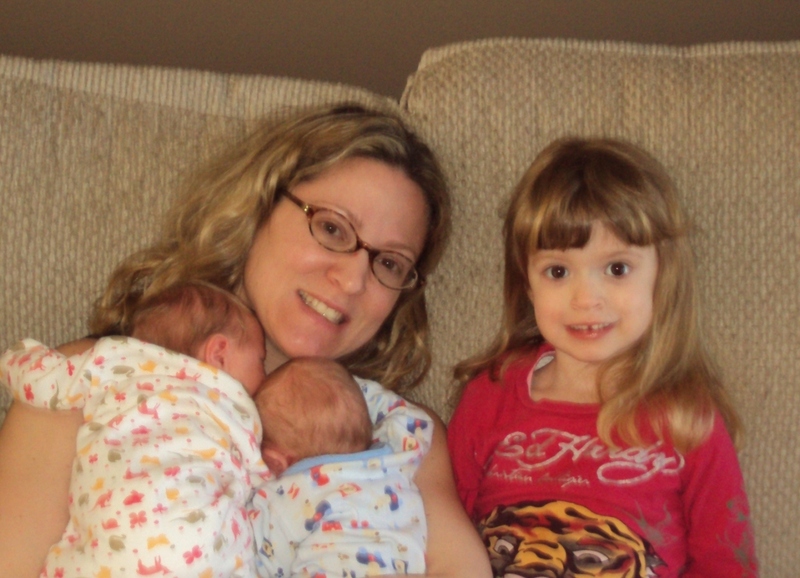 With my twins – Twin A – Lila, Twin B – Duncan, they were different right from the start. While in the womb Lila was the bully 🙂 She stole all the food and took up all the room. Poor little Duncan was squished right under my ribs while Miss Lila was sprawled out, enjoying the time. We had a 3D ultrasound and I swear we saw Lila kicking poor little D in the head :(. 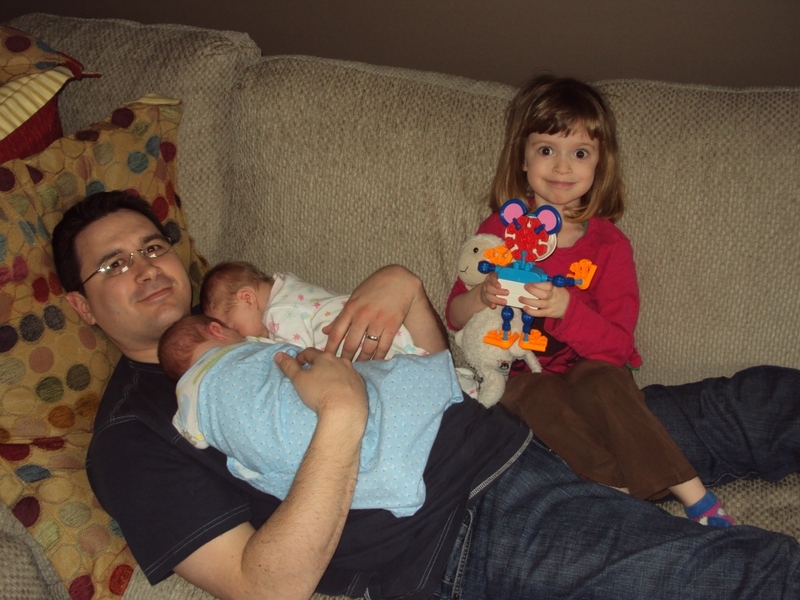 When it was time to meet your little bundles, Lila came out screaming, Duncan came out calm and quiet. This speaks volumes in what their personality is now. Lila was awake and alert the first few days, while Duncan remained my chill little dude and barely opened his eyes. When you have more then 1 child, it’s what you do. You compare the new baby to your other children. Well when you have two of the same age it’s almost impossible not to compare. Why did Lila seem so much more alert? Why did Duncan eat more? Why was Duncan so much easier to soothe, and why is he sleeping all the time? She doesn’t?? I was driving myself crazy. Lila is doing this but Duncan’s not. I wonder when Lila will start this and what’s wrong with her that she hasn’t?? I was going crazy, and I was driving everyone else crazy around me, doctors and all. It wasn’t until they both got a bit older, maybe a few months old, that I started to relax and realized they are both perfectly fine and will master certain skills at different times and display different personalities, because they are different children. My Lila is my spit fire. She yells the loudest, laughs the loudest, and can never sit still. My Duncan is my calm, cool, collective little guy. He is shy and always full of smiles. Lila was the first to crawl and walk, while Duncan was the first to talk and sleep through the night :). Lila follows me around everywhere I go (I secretly love it) but try and get a snuggle from this kid, forget it. She always has to be moving. Whereas Duncan is my sit quietly and play boy, but he is the first to give you cuddles and kisses – LOVE it. So they are both very different and I’m thankful for those differences because it allows me to constantly be learning new things about them every day and how boring would it be if they were both bang on the same! Take a deep breath moms and dads of multiples. One may be in the lead on a new milestone or throughout life’s adventures, but the other one always catches up. My three children, all very different and thank goodness for that!